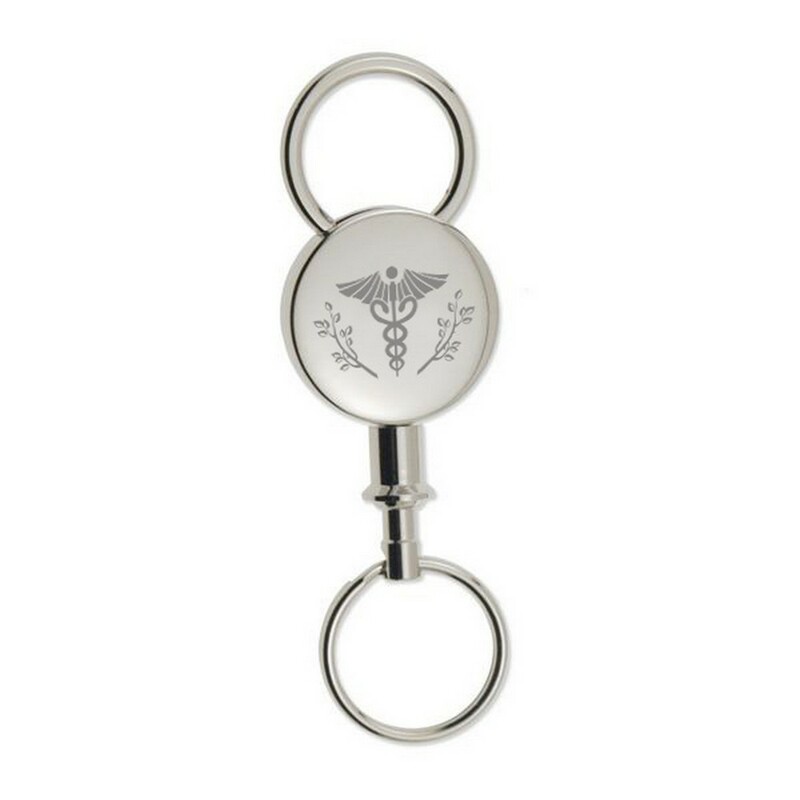 With a simple, tasteful design, this round silver detachable key chain with caduceus is the perfect gift for your favorite doctor or nurse. This durable key chain can hold a large amount of keys, making it a practical gift that the recipient can use daily. 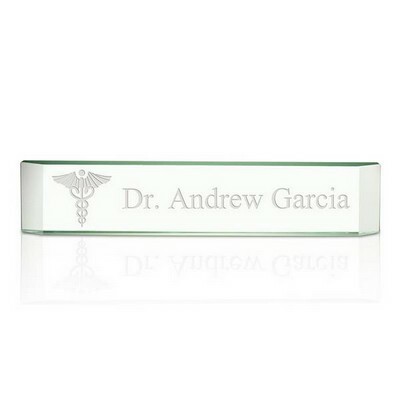 Each key chain is engraved with the name of the recipient, the current year, and an elegant caduceus design. 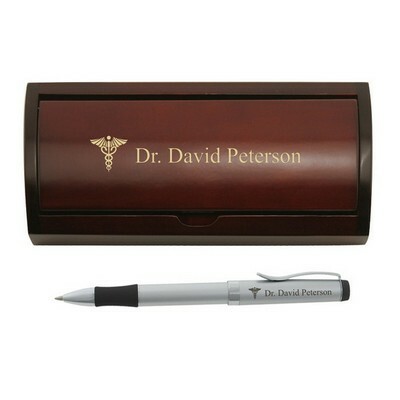 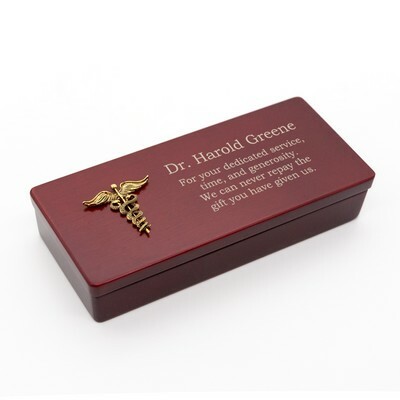 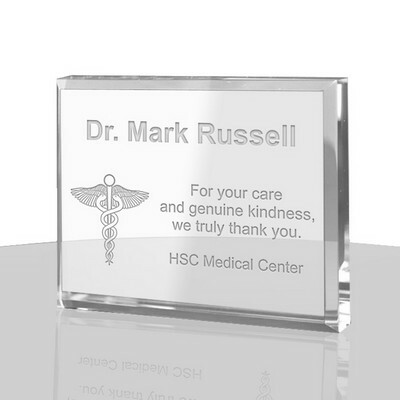 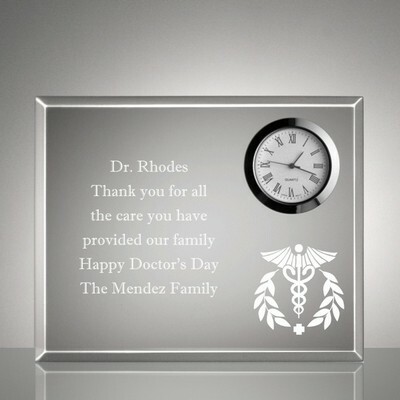 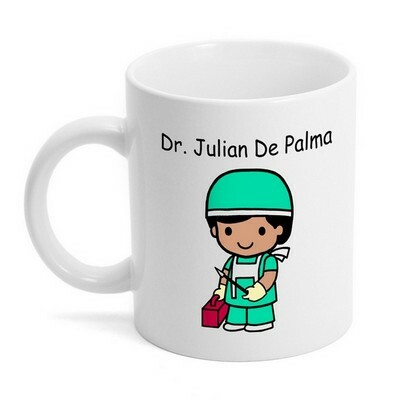 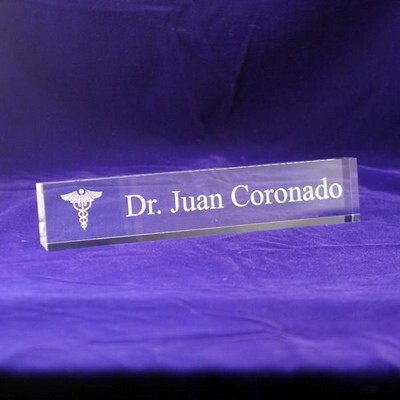 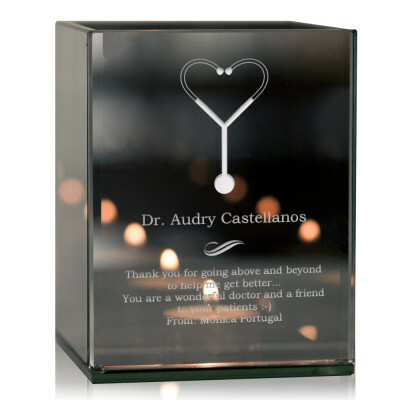 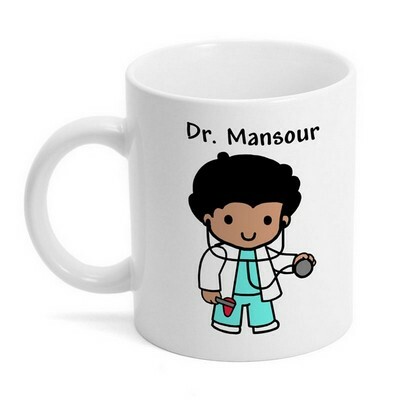 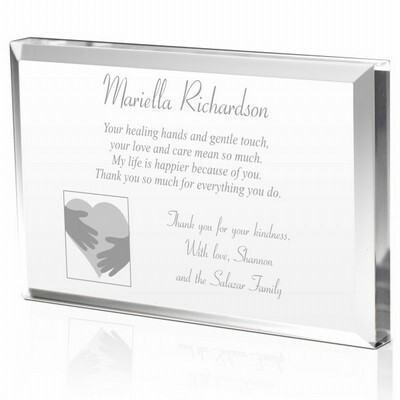 This simple yet personal gift is the perfect way to show a doctor or nurse just how much they're appreciated. 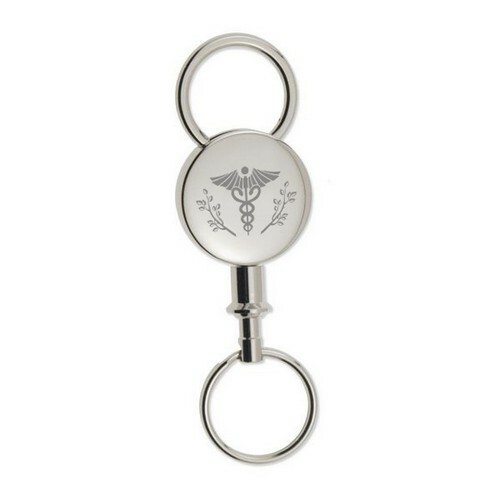 "Round Silver Detachable Key Chain with Caduceus"
Comments: Just perfect for a male or female Doctor. 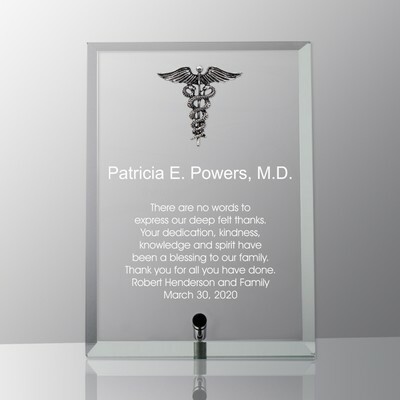 Love the fact it can be engraved. 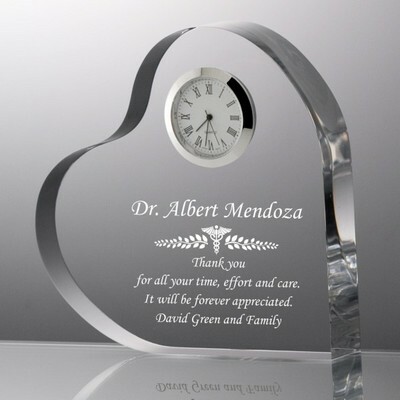 Will love continue to order gifts from you.